Before teaching Special Education at Central Elementary, Robert Jasson spent his time on the stage. "It was a good ol' country and southern rock 'n' roll band," said Jasso. It was an experience he couldn't stop talking about to his wife. "I tell her every single day, I need to put a band together. I need to put a band together," he added. "The thought popped in my mind in seconds what better thing to do than start a guitar club." NBC 5's Wayne Carter visits Central Elementary School in Duncanville, where they're working to turn the tide starting with math. Central Elementary serves a community where some parents are unable to afford things like music lessons. "I wanted them to experience everything I experienced, holding a guitar, singing, being in front of a microphone," Jasso said. Soon, 135 students asked to be a part of the club. He needed guitars the right size for his young band and pounded the pavement asking different stores to help pay for the equipment. "I got a lot of 'Nos,'" said Jasso. 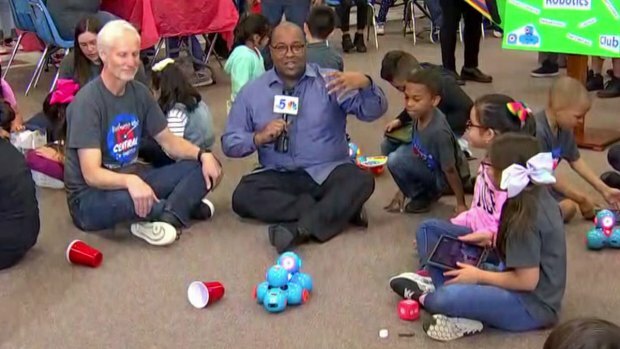 NBC 5's Wayne Carter visits Central Elementary in Duncanville where students are encouraged to find their passion in one or more various clubs. Student Teegan Livingston and his mother donated nine guitars to the club. They held fundraisers to come up with the money and surprise their teacher who was working hard to come up with the guitars. "It motivated me. It motivated me to be a better teacher," he said. 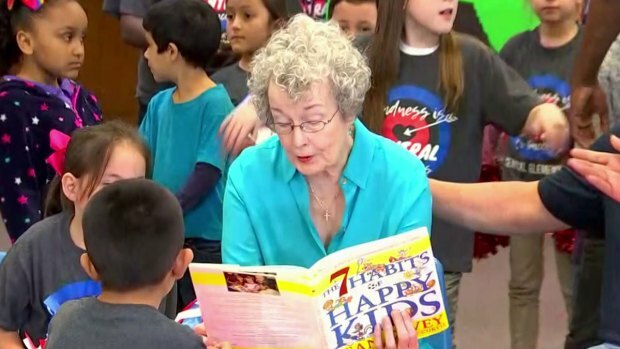 Central Elementary students are caring, the school talks about kindness quite a bit. Another aspect of Central Elementary is there academic success -- the students proudly state that math is fun. It's so fun they have a math club where they compete on their calculations. "The other kids may think they have it in the bag, but they’re not working like we are," said third grader Erik Garcia. Heard of a triathalon? Where you do three different competitions to win? Garcia tells me this is a pentathlon, five different competitions all centered around math. NBC 5's Wayne Carter visits Central Elementary in Duncanville where kindness is part of the curriculum. "I used to get 80s but after I started doing this I get 90s and I'm really loving math," said Garcia. They've been at this math club for about a year now and teachers say the gains are truly there. This school was of the poorest performers in the state and has turned a corner, to a real success story. The educators said this math competition is one of the reasons why.